From the #1 New York Times bestselling author of The Christmas Box and The Mistletoe Promise comes a picture book about a boy who learns a lesson about the true meaning of Christmas. This holiday classic has been given a new cover and format—perfect for gift-giving. High in the mountains lies the town of Noel, surrounded by beautiful white walls and a great silver gate. Every year Alexander and his mother walk the long distance to Noel to watch the lighting of the village Christmas tree. This year Alexander learns that the Keeper of the Flame will choose the person who has given the truest gift of Christmas to light the Flame. On his way to Noel, Alexander helps a poor old man he finds lying in the snow. His act of charity is rewarded, and Alexander learns that it isn’t what you have to give, but how you give of yourself that matters most. 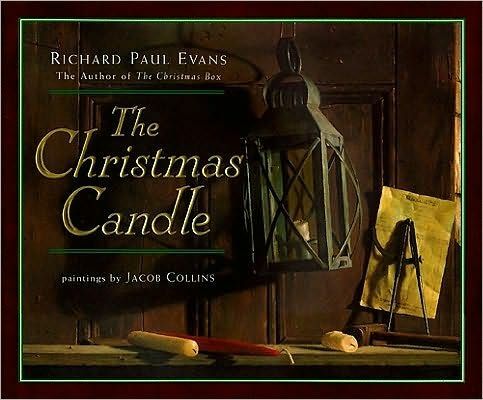 Master storyteller Richard Paul Evans shares a heartwarming tale of the true meaning of Christmas spirit. 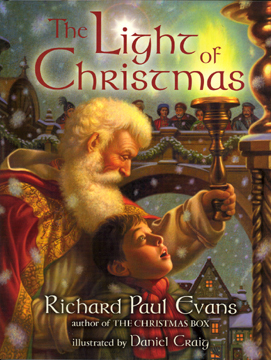 In the long-ago world of Evans’s (The Christmas Box) message-driven tale, the high point of Christmas is not a visit from Santa, but the lighting of the Christmas flame in the mountain “Christmas town” of Noel. This particular year, the aging Keeper of the Flame (who looks a lot like St. Nick) turns over his duty to a pure-hearted boy who performs a selfless act of kindness. Craig marks his children’s book debut with a series of dimly lit, opulent computer-generated scenes that often have the appearance of acrylic or oil paintings. Realistic in their details and Old World in their mood, they reinforce the old-fashioned, homily-like quality of the text. All ages. — Publishers Weekly, Copyright 2002 Reed Business Information, Inc. — This text refers to an alternate Hardcover edition. Kindergarten-Grade 3-In the town of Noel, the Keeper of the Flame rekindles the torch each Christmas Eve. This year he will choose “whoever gives the truest gift” to light it. Young Alexander wishes he had something special to offer and, of course, he does; he helps an old man who turns out to be the Keeper of the Flame and is chosen over all of the other hopeful (but not helpful) gift-givers. 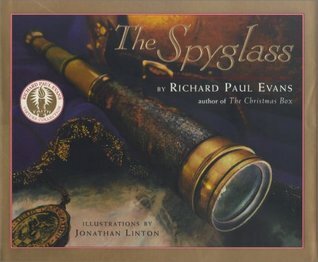 A predictable “true meaning of Christmas” story, with equally predictable faux-classical illustrations. —S. P., School Library Journal, Copyright 2002 Reed Business Information, Inc. — This text refers to an alternate Hardcover edition. K-Gr. 2. There’s no attempt to disguise the message here, but it is a worthy one, presented with an almost scriptural feel. 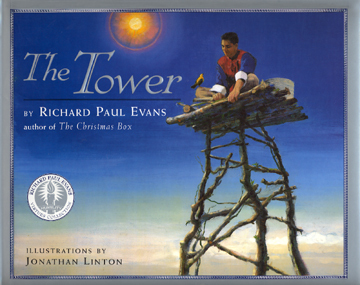 Evans, the author of the best-selling Christmas Box (1995), uses simple language to tell the tender, heartfelt story of the boy Alexander, ina faraway land, a long time ago, who sets aside his own pleasure to help a stranger and in so doing earns the right to light the Christmas flame. The art is quite nice. It is Craig’s first picture book, and his gauzy yet detailed spreads are at once mystical and real as they define the homogeneous community, lit by snowflakes, where the Keeper of the Flame looks like Santa and the flame that burns so brightly seems like the star that marked the way to the newly born babe. A holiday book that calls for family sharing. 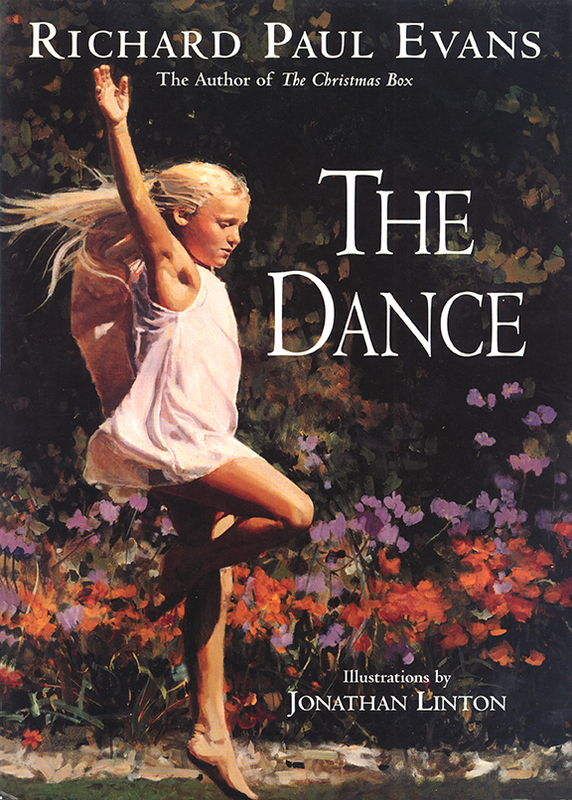 — Stephanie Zvirin, Booklist Copyright © American Library Association. All rights reserved — This text refers to an alternate Hardcover edition.